Waterworks Presentation Centre Condominium Sales Centre by Cecconi Simone Inc.
To provide clients with a standout sales experience that mirrored the uniqueness of the final condominium project, the designers set out to accentuate the historic elements of the heritage building, which will be incorporated into the final project. To do that, they maintained many of the property’s original elements in their raw form, from the interior bricks to the original boilers, transposing on top of that historic context warm seating areas of wood and worn leather, raw metal accents, and large-scale photography that hints at new worlds around the bend. This project was completed in October 2016 in Toronto, Canada. 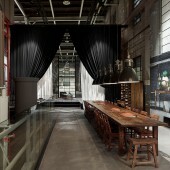 The existing raw food hall was used as the setting for a photography and video shoot. The space was propped and styled for an extensive photo shoot with the outcome of creating art-like still-life photography and wall panels for the sales centre. 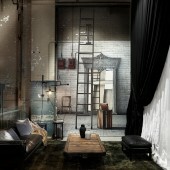 Designers worked closely with the photographer reviewing elevations to scale the photography to life-size proportions. The photographer shot the images in colour adding black and white and sepia layers in post-production. To create a more realistic representation of the actual accessories, pops of color were added throughout the images. 52 custom oversized wall panels were printed with matte latex inks. 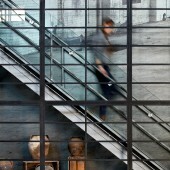 The panels were then staged within the building and mounted behind windowpanes on a total of 11 walls. The unique and challenging part of this project was not only the size of the walls to be covered but the different shapes, cutouts and wrapping around vents/pipes/etc. In one of the rooms the image was continuous and ran around three of the walls and had to line up with the actual building itself when viewed from afar. Printed panels offer a view into potential new worlds, flowing seamlessly with the rest of the building and fooling the eye so that visitors must look twice to determine where the real space ends and the photography begins. Photos tell a story of the site’s past and future use, revealing both raw industrial spaces and the most elegant of uses. The panels blur the distinction of what is real and what was photographed creating a sense of spaces still undiscovered. Honour the past, while celebrating the future. That was the goal upon approaching the design of this sales centre, located within a former industrial building in downtown Toronto. The client’s brief asked for a design that respected and highlighted the heritage-designated building – formerly a food market turned water filtration plant – while demonstrating the uniqueness of the residential development under works. Adding to that objective, the designers were also asked to style the space to feel less like a sales centre and more like a design studio. But with 9 m ceilings and an expansive layout, creating a space that felt intimate to potential buyers – in order to offer a sense of home – was a challenge, especially without losing the impact of the building’s grand scale and Art Deco influences. The design and materials chosen would need to bridge the gap between the site’s industrial past and residential intent, adding equal measures drama and warmth. Kitchen and bathroom model vignettes would also need to flow naturally within the space, representing the final units and showcasing the finishes on offer. To meet clients’ expectations, the final sales centre would stand out for buyers inundated with options in Toronto’s busy condominium market. And because of the temporary nature of the space – which was closed once units were sold out, and will eventually be converted into a food hall incorporated into the project – that had to be accomplished with minimal structural changes. Waterworks Presentation Centre Condominium Sales Centre by Cecconi Simone Inc is a Nominee in Interior Space and Exhibition Design Category. · Click here to register today inorder to be able to view the profile and other works by Cecconi Simone Inc. when results are announced. Waterworks Presentation Centre Condominium Sales Centre by Cecconi Simone Inc is Winner in Interior Space and Exhibition Design Category, 2017 - 2018. 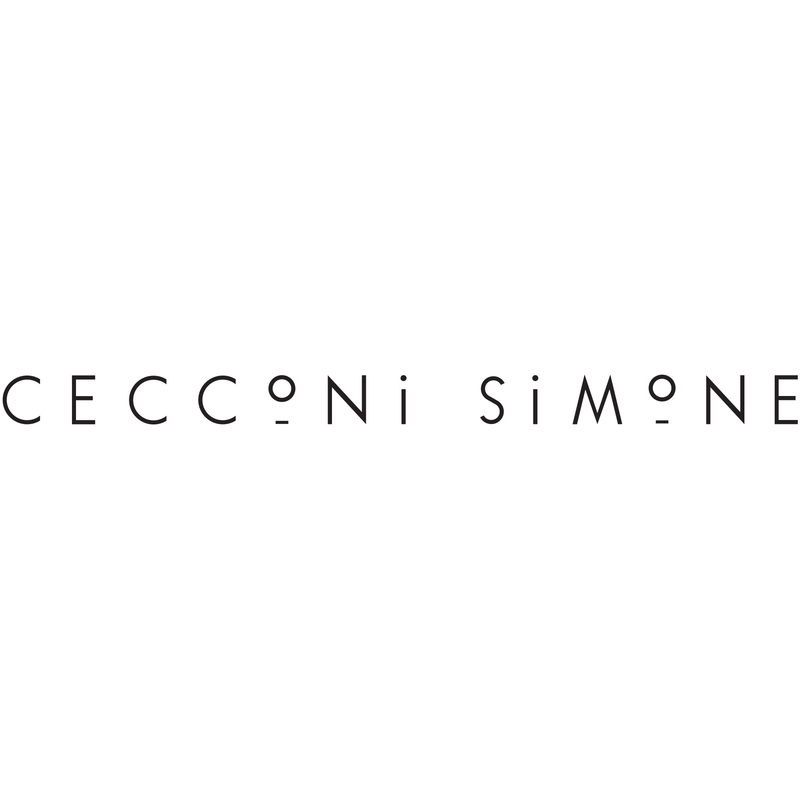 · Press Members: Login or Register to request an exclusive interview with Cecconi Simone Inc..
· Click here to register inorder to view the profile and other works by Cecconi Simone Inc..
Did you like Cecconi Simone Inc's Interior Design? Did you like Waterworks Presentation Centre Condominium Sales Centre? Help us create a global awareness for good interior design worldwide. Show your support for Cecconi Simone Inc, the creator of great interior design by gifting them a nomination ticket so that we could promote more of their great interior designs.